A couple of weeks ago, I promised to deliver some big news from Grace so without further delay, I'd like to introduce you to the GraceSense™ Hot Spot Monitor (HSM). Find faults before they find you! As many of you know, Grace Engineered Products consists of two distinct electrical safety brands with products for specific applications. Our bread and butter is the GracePort®; a fully customizable panel interface connector that allows personnel to reconfigure PLCs safely from behind closed doors. SafeSide® Permanent Electrical Safety Devices (PESDs) include voltage indicators and voltage portals with many combinations options available. PESDs enhance compliance to NFPA 70E & OSHA for LOTO procedures, allowing personnel to feel confidently safe when isolating energy. Our individual brands confront hazardous electrical situations on multiple fronts to reduce risk and improve safety. With the emergence of GraceSense™ HSM we're seeking to ensure predictive maintenance by monitoring equipment temperatures and preventing incidental and costly downtimes. Distributor and Rep location information will be updated as we get closer to the May 2017 product shipment date. 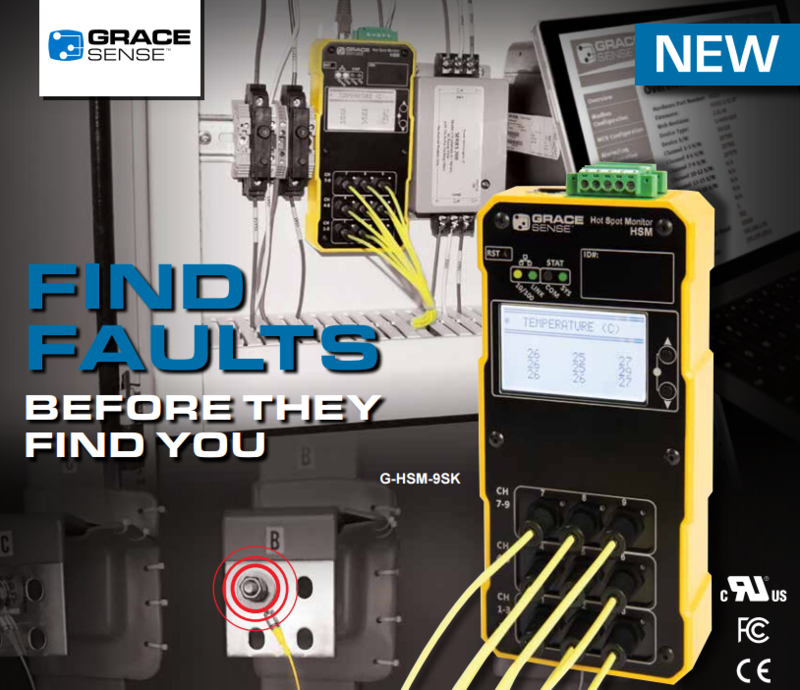 For now, you can explore the new GraceSense™ page by clicking the new blue tab at the top and check out the above video to learn more about the HSM! We've got RTIC Tumblers this week with the new GraceSense™ logo.